Order a falafel or a bbq bacon and chilli beef animal-free burger from a Soul Burger restaurant near you. Get Soul Burger delivered to your door! Vegans! No longer do you have to miss out delicious burgers now that Soul Burger as a wide menu of real juicy burgers, all made with real meat built from real plants. At Soul Burger, they believe that plants are the future of meat! 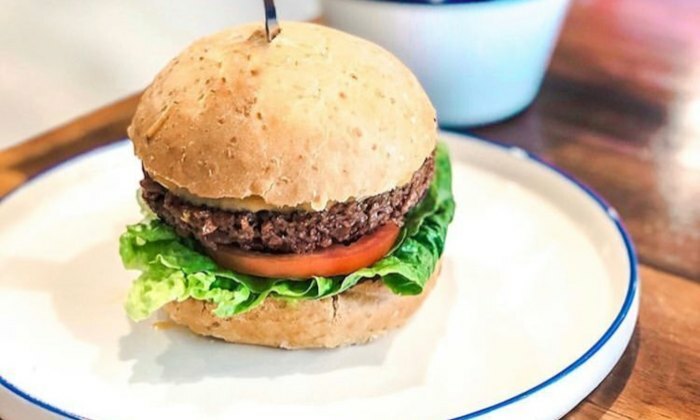 You can now enjoy a vegan burger and not sacrifice on flavour With four locations in Sydney, Soul Burger continues to expand its network while keeping its promise to lead a global movement in keeping animals out of slaughterhouses and off menus. If you think all vegan burgers are just chickpea patties, then you’ll be delighted by the menu at Soul Burger. Their menu includes delicious creation such as falafel, the Aussie, bbq bacon and chilli beef ‒ but all animal free. Plus there’s fries, shakes, coconut gelato and kombucha to complete your meal. When you can’t shake those hunger pains and are craving a mouthwatering vegan fix, simply place your order via Menulog, and you’ll soon be munching on a delicious Soul Burger creation. Save your precious time and have your meal delivered to your door, quickly.